INDIGO - TRUNK SHOW held again on Sunday - SAVE 40% !!! INDIGO - Arnold Zimberg Trunkshow - SPECIAL INVITATION - SAVE 40% !!! INDIGO - !!! NEW Arrivals !!! - Special Email ONLY Offer! and get a second item of equal or lesser value at 40% off !!! ... Plus save on other sale merchandise! * Discount offers may NOT be combined; and special discount offers do not apply to sale (marked down) merchandise. * Buy 1 item at regular price and get a 2nd item, of equal or lesser value, at 40% off. * See Store for specific sale details. INDIGO -- BUY ONE GET ONE 30% OFF -- SALE !!! and get a second item of equal or lesser value at 30% off !!! ... Plus a whole lot more !!! * Buy 1 item at regular price and get a 2nd item, of equal or lesser value, at 30% off. INDIGO - !!! Denim SALE !!! - Free pair of jeans! with the purchase of 2 pairs of regularly priced jeans. and get a 2nd pair at 50% off. * Buy 2 pairs of jeans at regular price, and get a 3rd pair free. * Buy 1 pair of jeans at regular price, and get 50% off a 2nd pair. INDIGO [Santa Monica] -- 25%-75% Off -- Winter Blowout SALE !!! Ted Baker, Union, Arnold Zimberg, 12th Street by Cynthia Vincent, Zooey, Majestic, Agave, James Jeans, Kinross Cashmere ... and many others. Hurry in for best selection !!! INDIGO - Holiday SAVING$ !!! Bring in this email and save !!! Don't wait till the last minute for your Holiday Shopping !!! 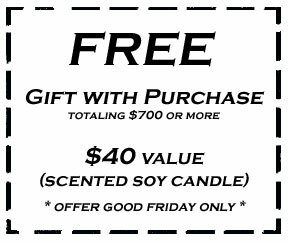 INDIGO -- Black Friday SPECIALS !!! Great time for your Holiday Shopping !!! INDIGO [Santa Monica] -- SALE extended for email list only! -- Don't miss it this time!!! Thought you missed it ... Don't miss it this time !!! so we extended this special offer just for you ! Also ... Special Email only offers !!! with the purchase of $300 or more, of regularly priced merchandise. with the purchase of $1000 or more, of regularly priced merchandise. Great time to start your Holiday Shopping Early !!! Indigo [Santa Monica] -- 20 to 70% OFF!, Entire Store !!! Great NEW MERCHANDISE is in-stock ! Spring Fashion ... Here Now !!! New Spring Fashion ... by many of your favorite brands ... has arrived! 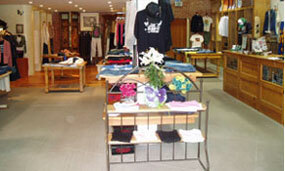 Come in to the store now, for your best selection of sizes and colors. And don't forget "we have a jean for everyBODY!" Jeans by ... GoldSign, AG, James jeans, Hudson, Agave, Replay, Paper Denim, Seal Kay, J and Company, Rick and Skinny, People's Liberation, Joe's jeans, Stronghold and much more. with more arriving daily ! 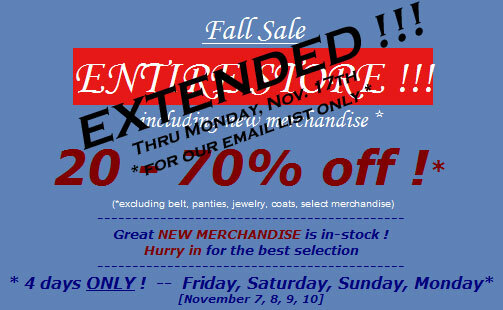 ... plus 50% off * all Fall / Winter merchandise ! 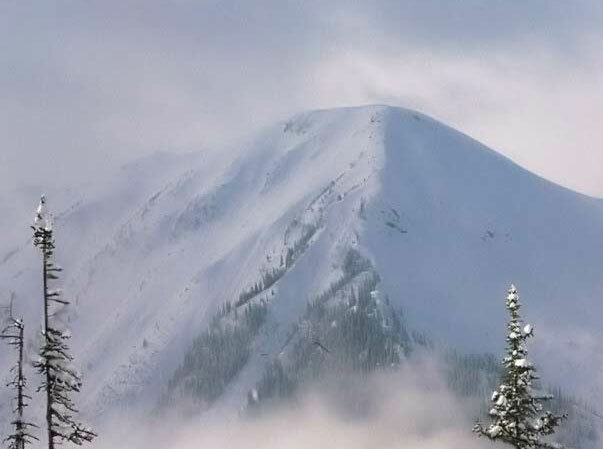 * See Store for "Fall/Winter Merchandise" Sale details. Indigo has NEW fall merchandise arriving daily! The latest styles and brands of premium jeans, great cashmere, button-down shirts, sweaters, cords, trousers, short and long sleeve tees, jackets, and those special pieces you are looking for. ... Replay Italy, Salt, Goldsign, AG Adriano Goldschmied, Agave Denimsmith, Agave Nectar, James Jeans, JC-US, Splendid & Splendid Mills, Trina Turk, Peoples Liberation, Ted Baker, Paper Denim & Cloth, Loomstate, Sky, 7 Diamonds, Robert Graham, Bogosse, Zooey, Hanky Panky, J & Company, William Rast, Z Brand, Joe's Jeans, Live Jeans and so much more. New spring merchandise arriving daily! ... Goldsign, AG Adriano Goldschmied, Agave Denimsmith, James Jeans, Splendid & Splendid Mills, Trina Turk, Peoples Liberation, Paper Denim & Cloth, Loomstate, Sky, English Laundry, Zooey, Ted Baker, Hanky Panky, J & Company, Vitamin A, William Rast, Z Brand, Live Jeans and so much more. Indigofashion.com wants to wish everyone Happy Holidays! We hope your holidays are filled with fun, laughter and great memories with family and friends. 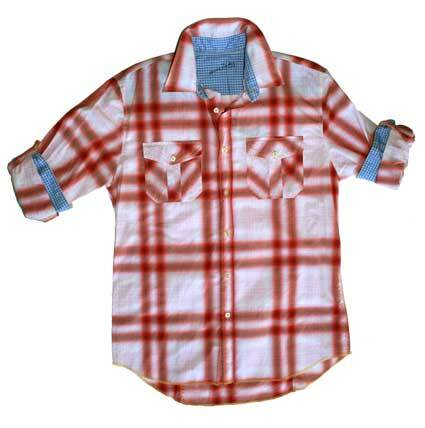 And let's not forget that indigofashion.com is a great place for that special gift, for that loved one who must have the latest style and the hotest new clothes. We have new jeans by Peoples Liberation and Goldsign; plus ... new t-shirts by Retro Sport and Trunk, the latest jeans by Agave, new colors from Hanky Panky, and the latest fall fashion from Trina Turk and Sky. 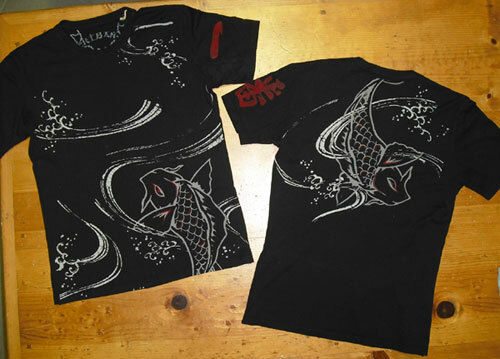 Tie-Die T-shirt, by Allen B. Call for details! 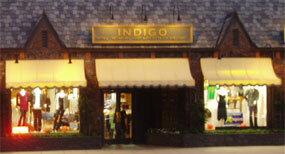 Indigo, a trend setting boutique, in Santa Monica/Brentwood CA officially launches their online store on May 15, 2005. Indigo [Santa Monica] -- upto 50% off SALE !!! -- Hurry and SAVE! Having trouble viewing this email? View it as a web page here. NEW Merchandise & Jeans ! Hurry and be the first in the store for the best selection! * Buy any 2 items at regular price and receive 30% off a 3rd item of equal or lesser value. INDIGO [Santa Monica] - Happy Mother's Day !!! Spring is in full bloom & Summer is around the corner ! Great GIFT Items for MOTHER'S DAY ! Come into the store to find out about other special offers, this weekend only !!! * See Store for Sale Merchandise details. * Mom's receive 15% off one (1) regularly priced item. INDIGO - Memorial Weekend - SALE !!! & Save 10 - 30% on select NEW Merchandise. Great time to Stock Up on Your Summer Essentials! * All items in our upstairs sale section are 50% off, May 23 - 27; this does not apply to new merchandise. * Select new items will be on sale as marked in the store, from 10 - 30% off..
INDIGO - NEW Summer Merchandise & SAVE on gifts for Father's Day !!! SAVE an additional 10% off on SALE items! ... plus an additional 10% off sale items when you mention this email. Don't forget about Father's Day !!! 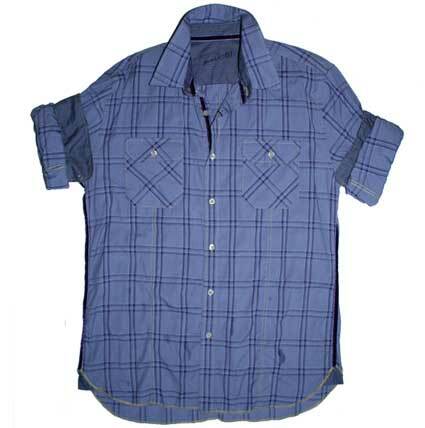 We have great stuff for your Dad or Husband ! 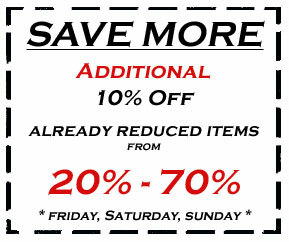 * All items in our upstairs sale section are 20 - 50% off, plus additional 10% off June 6 - 8, when this email is mentioned. * By any regular priced jean and get 15% off the purchase of any 2nd pair of jeans of equal or less value. INDIGO - Special Invitation - Trunkshow - Sunday, June 29th !!! & so is great new merchandise !!! Perfect for the gym, travel, yoga, beach resort, or running around town! Fabulous fits for a variety of body types & inspirational unique designs to make a distinctive impression! The first thing you'll want to grab from your closet! Look for our upcoming July 4th email & special savings !!! 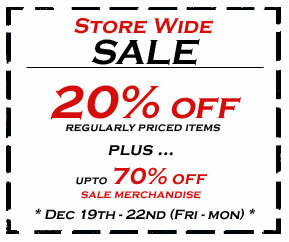 * See Store for any sale merchandise details. * Save up to 50% off in our upstairs sale section. INDIGO [Santa Monic] -- SAVE upto 70% off !!! -- End of Season SALE !